We are committed to providing our customers with exceptional gourmet food experiences and quality customer service. 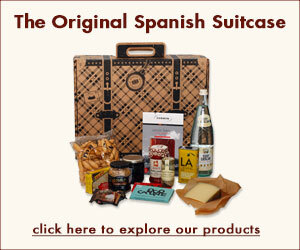 If you have a question about an order, a product request or suggestion or just want to say hola, please use the form below to get in touch with Spanish Suitcase customer service. We will get back to you as quickly as possible, typically within one business day. You can also find answers to frequently asked questions here and read more about shipping and other terms of service.